The Republic of Tajikistan celebrates its Independence Day on September 9. This public holiday commemorates the independence of Tajikistan from the Soviet Union in 1991. The territory of present-day Tajikistan became part of the Russian Empire in the second half of the 19th century. After the Russian Revolution of 1917, the Muslim peoples of Central Asia (known as Basmachi) began a war against the Bolsheviks, but were defeated by the Red Army. In 1924, Tajikistan was incorporated into Uzbekistan as the Tajik Autonomous Soviet Socialist Republic. It became a separate constituent Soviet republic (the Tajik SSR) five years later. It was one of the poorest Soviet republics. When the imminent collapse of the Soviet Union became evident, Tajikistan proclaimed its independence. The official proclamation was made on September 9, 1991. 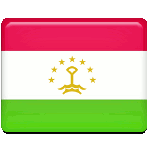 Independence Day in Tajikistan is a national holiday and a non-working day. It is celebrated nationwide with solemn speeches, flag hoisting ceremonies, concerts, performances, exhibitions, street fairs, sporting competitions and firework displays. Military parades and rallies are not held anymore. The main celebration is held in the capital city of Dushanbe.